Adult Sunday School class led by Rev. W. Reid Hankins at Trinity Presbyterian Church (OPC) on 3/19/2017 in Novato, CA. This week we continued a series on prayer, continuing to define what is prayer, speaking of prayer as a discipline, and speaking against being influenced by other religions in terms of prayer. Adult Sunday School class led by Rev. 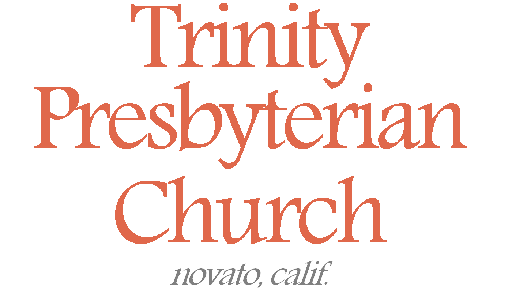 W. Reid Hankins at Trinity Presbyterian Church (OPC) on 3/12/2017 in Novato, CA. This week we continued a series on prayer, continuing to define what is prayer, speaking on what it means to pray in the name of Jesus. Adult Sunday School class led by Rev. W. Reid Hankins at Trinity Presbyterian Church (OPC) on 3/5/2017 in Novato, CA. This week we continued a series on prayer, continuing to define what is prayer, speaking on it as a means of grace.